With Our Resume Search Box! 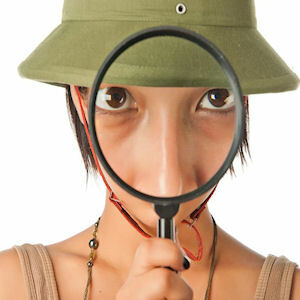 Use our site search to find what you need here at Powerful-Sample-Resume-Formats.com. Our resume search is powered by Google! Looking for some resume information, but you're having trouble spotting that topic in any of our navigation menu buttons? That's OK... there are several hundred pages on this site, so finding the exact one you need can feel a bit like looking for a needle in a haystack. Believe me, I understand how you probably feel... I wrote everything here and sometimes I have trouble finding what I'm looking for too! So... that's why I put up this page... to make life easier for my visitors, because... you know... that's what this site is about, after all... you! using a resume outline or resume layout examples? tips on acing job interviews? Don't worry... our search function (courtesy of mighty Google) will give you the answer, so you're never left hanging. Always use quotation marks with 2 or more words.) Then, press the Search button. In the search box below, simply enter a word or two that relates to what you're searching for. For example, if you're searching for all pages that mention the word "resume templates", type those words in. Any other questions you may have, related to job hunting or careers!